Successfully developed leaders and leadership in major global organisations to enable both personal and organizational success. Eg His work as Global Head of Leadership at UBS is now part of a Harvard Case Study. Worked with small/ medium sized organisations to some of the largest globally in government and commercial sectors. Served as a military officer leading and inspiring people in challenging environments via a “serve to lead” ethos. Learnt the leadership secrets of leading CEOs who are interviewed by him which he passes on via his speaking and teaching. Been an executive coach and mentor helping senior executives be successful. Chris shows how using their own experience everyone can take simple, practical steps to quickly deliver real improvements at all levels. The audience can then immediately make a real difference for themselves, their teams and organisation using simple actions they will have identified in the session. As these are based on their own experience they resonate with them so combined with their agreed actions optimise the chances of success. Chris is an economist and trained as an accountant so fully understands the financial success that can be delivered via inspiring leaders. His breadth of experience in terms of function, sector, business model, culture and geography ranges from having held senior roles in UBS, HSBC, KPMG & London Underground, from advising legal firms to the UK National Health Service 1.4m staff, from UK Government to the Red Cross in Myanmar, Investment banks in London to Middle East Telecoms, from the Chinese Space Programme to retail in USA. Functionally from Project Managers to HR Directors, from Chief Risk and Legal Officers to Finance Directors, across the globe in Beijing, New York, Dubai, London, Rome, Singapore, Rangoon, Athens, Stockholm, Zurich, Kuala Lumpur, Calcutta, Oman and Hong Kong to list a few. When Global Head of Leadership at UBS, 70,000 staff & 100 countries, his team helped the bank transform organisational performance to increase profitability and market capitalisation and win many awards. Chris has been quoted as a leadership expert globally in the Harvard Business Review China, Financial Times, Wall Street Journal, Le Monde, New York Times, Business Week, Time Magazine, Washington Post, Times of India, Straits & Gulf Times and many other titles. He has done over 350 interviews on leadership issues and events on BBC channels, Sky, Bloomberg, ITV, CNBC and CNN. 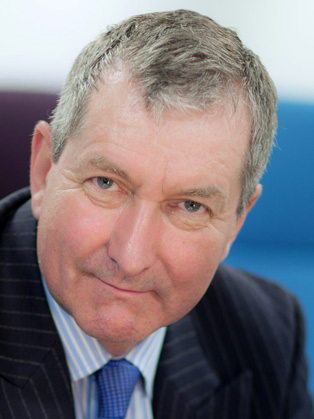 Chris has been recognised as one of the Most Influential HR Thinkers every year since 2010 by the HR profession in the HR Magazine annual awards and recognised as an exert in developing leadership around the world via being invited to be a Companion of the Chartered Management Institute in UK. His best selling books and podcasts help him spread his ideas to a wider audience.